Can't see this email? Read it in your web browser instead. Like you whenever your friends try to get you to go out out, all Paris ever seems to want to do is be old. Tellement faux, says Lindsey Tramuta, an American-gone-Parisienne who's been writing in and about Paris for over a decade. In her debut book The New Paris, out today, she draws back the curtain on the city's hipper, more happening side—as obsessed with coffee, creativity, and brunch as Brooklyn or Berlin. True to the priorities of Lindsey's adopted homeland, more than half of the book focuses on—what else? Food. Below, an exclusive excerpt from The New Paris. Get it while it's fresh. Whereas in America sweets are invariably tied to excess, health, and morality—we use words like sinfully delicious or guilty pleasure to describe their consumption—the French approach them as joys that don’t need to be confined to special occasions or celebrations. They are entwined in a balanced, everyday lifestyle and in times of recession or uncertainty, they are even more important—an affordable luxury that lifts the spirits. Of course, it certainly helps that in the time I’ve lived in Paris there has been a dramatic shift in the sweets themselves. They are smaller, lighter, more seasonal, and more experimental with flavor combinations. To understand in simple terms how the pastry and confection industries have changed in the last ten to twenty years, I went straight to an authority: Pierre Hermé. young age. But as a result of pioneers like Hermé, Philippe Conticini, Christophe Adam, Patrick Roger, Jacques Genin, and countless others venerated in magazines and on television, their trade is finally being acknowledged as the challenging, creative, métier de passion it truly is. 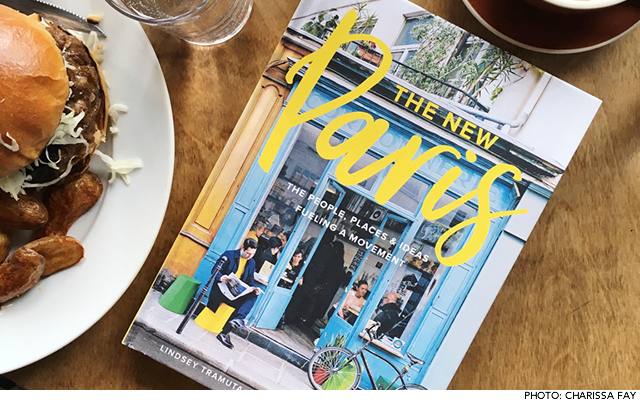 Get your copy of “The New Paris: The People, Places & Ideas Fueling a Movement" by Lindsey Tramuta (Abrams New York) here if you live in the US, and here if you don't.